A high-power view shows the cells of this benign GIST to be slender, with an occasional tapered end. Small, inconspicuous nucleoli are evident. The nuclei are not wavy or blunt-ended. 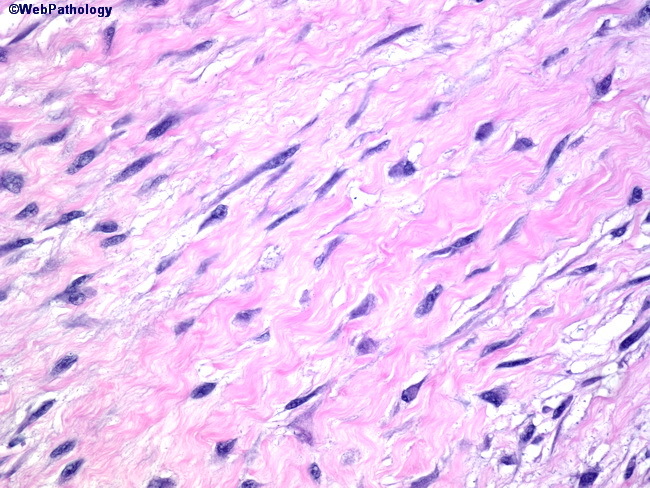 The background is predominantly composed of bland, eosinophilic collagen. Small, benign GISTs are usually asymptomatic and discovered incidentally.